Most people think of hydrogen peroxide (H2O2) as a way to disinfect cuts and scrapes. Memories of having this solution poured on my cuts still send chills up my spine. Oh yes, the fizzing of the peroxide when making contact with the wound and the pain associated with it felt like torture as a kid. Although you won’t find this in first aid kids any more, there are still many uses for this magical liquid throughout the house – from kitchen to laundry to bathroom. Please note that we highly recommend diluting hydrogen peroxide down to 3% for most uses and even lower if making contact with your skin. We also recommend food grade hydrogen peroxide when making contact with food or any utensils or items that you will be ingesting. Food grade peroxide is typically in concentrations of 35% or 3%. Make sure you read the label in order to dilute it properly and make sure to rinse it off thoroughly if it makes contact with your skin. We recommend wearing gloves and protective eye wear as a precaution when diluting it. 1. Wash your veggies in 3% diluted hydrogen peroxide. We typically add an ounce full to the kitchen sink filled with cold water. The hydrogen peroxide will kill any bacteria and will also help keep your veggies from wilting as fast. You can even add your wilted veggies to this solution to get them back to life. Simply let them sit in it for 3-5 minutes. 2. Wash your dish rag or dish sponge with it. Let it soak for 5 minutes in 3% hydrogen peroxide solution. It will start to fizz which is a good indicator of how much bacteria is on your sponge or dish rag. You can also use it on your bottle brush. 3. Use it as a mouth wash. Dilute the 3% solution by adding half water and half 3% solution so that it is down to 1.5% roughly. Swish it in your mouth for a minute or two and spit it out. It will help kill bacteria and whiten your teeth. 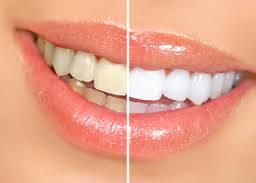 Most teeth whiteners on the market use a hydrogen peroxide gel as the whitening agent. 4. Clean your toothbrush with it. First off, keeping your toothbrush exposed in the bathroom near the toilet is not the best idea in terms of hygiene. We keep a small spray bottle of 3% peroxide and spray our toothbrushes to kill any bacteria. 5. Clean your toilette and counter tops with it. Put some in a spray bottle and spray down your counter tops and toilets with it. Let it sit for a couple of minutes to really disinfect. You may choose to dilute it down to 1.5% to make it last and so that it does not fade any painted surfaces or cheap laminates. We prefer to purchase the 3.7 liter 35% food-grade solution for cleaning since you can dilute it and it is the best bang for your buck. 6. Use it to whiten your clothes. Instead of using bleach add an ounce to your whites to help brighten them and get rid of odours. 7. Use it as a deodorant. You can actually purchase ozonated gels (gels that are infused with hydrogen peroxide) that can be used as a natural deodorant. Or you can spray 3% peroxide on your armpits to kill any odour causing bacteria. You can add a bit of lavender essential if you like as a fragrance. Lavender is also anti-bacterial. 8. Sanitize your fridge by spraying it on the shelves and inside the drawers, on handles and let it sit for 3-5 minutes and wipe off with a wet sponge. The more fizz you see the more bacteria you have in your fridge. 9. Use it to clean nuts and seeds. Many people don’t realize that nuts and seeds are not actually cleaned with any water or solution when you purchase them. Sure they are in a shell and the shell is cracked open and the nut or seed goes through a production process before it is bagged. In order to make sure that there is no bacteria or contaminants we like to soak our nuts and seeds in a 1.5 – 3% hydrogen peroxide solution for a few minutes before eating them. 10. Cleaning grout, tiles and mold are a few other uses for this wonderful product. Spray directly on the problem area and let sit. We also like making a paste with baking soda and full on 35% hydrogen peroxide solution for those tough spots. Hopefully we inspired you into getting rid of some of the harmful chemicals and cleaning sprays that you typically find at your local grocery store and purchasing some hydrogen peroxide as a healthier alternative. We would like to hear from you. 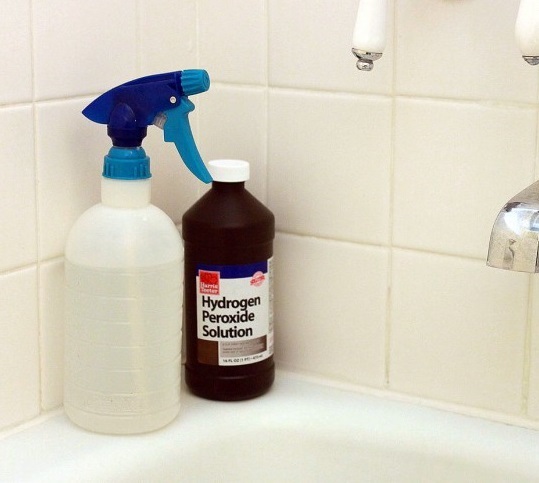 What do you use hydrogen peroxide for? Looking for food grade hydrogen peroxide. We have it here.